LEASE JOIN US for an entry level Chant workshop on Saturday July 13 from 9AM-12PM at the historic Mission San Buenaventura, Ventura, CA. 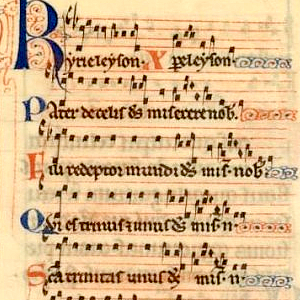 This workshop will be an introduction to Chant as part of the Mass, with the goal of helping Parishioners learn the basics of Gregorian Chant and increase their appreciation and participation. All are welcome, this workshop is useful for clergy and laity alike! No charge for the workshop, materials will be provided!